Although the betting windows will be shut down at Wembley Stadium during the two NFL games played there the coming season, bettors will not have to go far to get their wagers in on the game. There are over 30 legal betting parlors in the Wembley Park area… some are even within close walking distance from the action on the field. NFL Commissioner Roger Goodell said last week at a press conference that the league was considering adding a third game to that schedule soon. He also repeated his conviction that his office would not support any sort of NFL action, not even exhibition games, in the new stadium planned for the University of Nevada at Las Vegas. The commissioner didn’t even bother to say why or to try to explain the apparently contradictory stance on the issue. 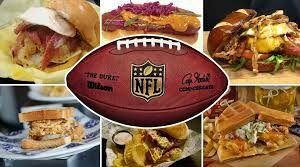 Why is the NFL in London such an attractive proposition and why is the NFL in Vegas such an untenable one? NFL spokesman Brian McCarthy recently told the press, “There is much more betting activity in the United States verses London.” He even went so far as to say that the reason for the league not being interested in playing any games in Nevada is because of the legal status of sports wagering in the state. Those betting windows at Wembley are closed down during the games at the instance of the NFL… or at least the commissioner’s office… and not by the people over in London who normally man them. Of course, sports bettors in England don’t have any trouble finding places to place wagers on NFL games. William Hill, one of the major sports books in the UK, says it takes in over 6 times more money, as much as $450,000, in wagers on the NFL games played at Wembley Stadium that those regular season games played in the USA and seen in Britain via television. 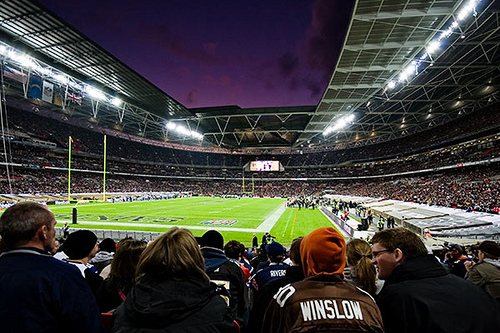 Rumors have been flying that the possibility now exists for an NFL team to relocate to London… full time. The folks over there want this to happen as soon as possible. The Jacksonville Jaguars are the team often mentioned as the most likely to make the move across the pond and play at Wembley Stadium. Some see this move as the beginning of a global expansion by the NFL. After all, major European Soccer team travel world-wide playing highly popular exhibition matches… why not the NFL?